Today, September 12th is National Video Game Day. Due to this wondrous occasion a few of us decided to band together and share a few of our personal favorites in the gaming world. I didn't start playing video games at all until high school, and it was sporadic. From that point on, my interest only grew, and video games have come to affect me as a story-telling medium just as much as some books or movies. Every gamer has a game/series or two that they're exceptionally emotional about. The Last of Us definitely fits into that category for me. The world is visually stunning (even before the remaster), which Naughty Dog is known to perpetuate. Beyond that, it is simply good storytelling. Within the first hour of the game, I fell in love with the premise and the two main characters (Joel and Ellie), who have a pseudo father-daughter relationship. Both have been through a lot in life (who hasn't living in a post zombie apocalypse world?) and form a wonderful bond through it. 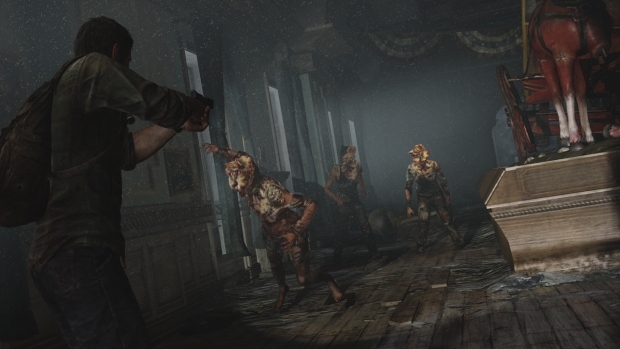 Joel lost his daughter near the beginning of the outbreak, years before the game takes place, and Ellie is an orphan who's lost all that is dear to her. Yet the young girl has a secret; she's immune to the scourge that has taken over the majority of the population. As a fan of zombie fiction to begin with, this is and has always been right up my alley. Ellie is fantastic; at fourteen she's been thrust into worse situations than most of us can imagine and come through stronger for it. She's a great example of a teen girl character done right. From the first time I played the game, I've wanted to cosplay her. Her emotional maturity is astounding, yet there are moments when it's clear that she is still very much a kid. Those moments are meaningful and not pandering to her or the player. 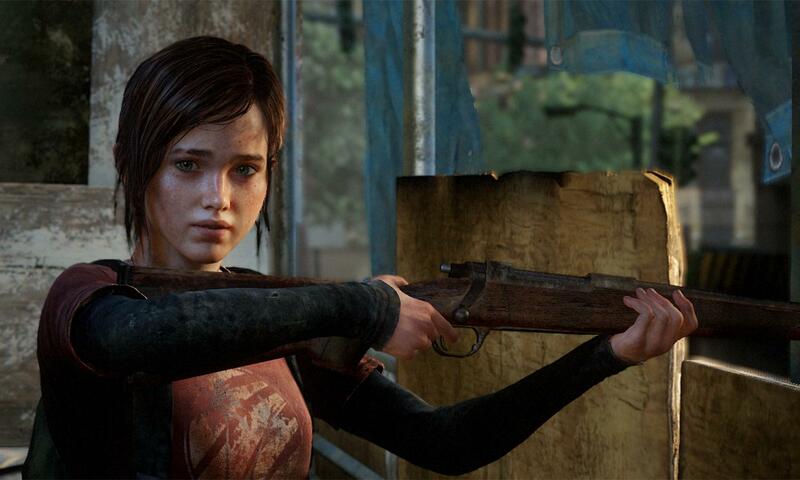 Although there are only few parts of the game in which you play as Ellie, she's my favorite character to play as. Don't get me wrong, Joel is a pretty great perspective character and helped me a lot during my early days of newer generation console gaming, but Ellie is just my favorite. It's mostly because she's quieter and better at stealth, and that comes in handy. I know that I've mentioned that BioShock was the first game that I played in its entirety in a previous post. I can't help but be excited because the Remastered Collection is going to be released on Tuesday and a special someone got me a copy as a gift! I know that it's going to be gorgeous. I can't wait to see Rapture and Columbia, only better. I will never forget the first time I completed the opening sequence or the awe I felt descending into Rapture in the Bathysphere. 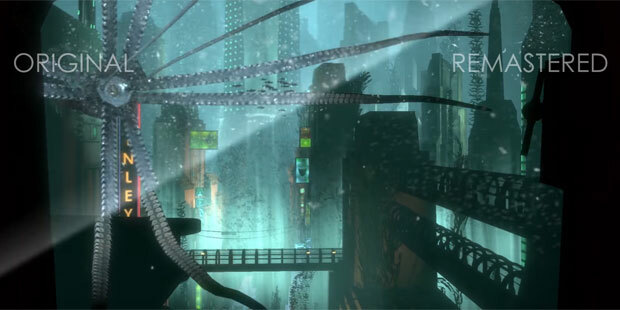 Something about the concept of an underwater city like this combined with dystopian elements simply fascinated me. The other two games in the series affected me similarly. I found that the plot twists, brainwashing, and alternate timelines were simply inspiring. The steampunk elements incorporated into BioShock Infinite were some of my favorite aesthetic features of the entire series (which is tough to say since I have always loved the art-deco and 1950's style that are the backdrop of the first two games). Still not sure about that, but she'll definitely hit him in the face with coins. Before playing BioShock, I had it in my mind that I wasn't going to be a fan of first-person shooters. I didn't so much prove myself wrong as prove that I like quality games beyond the genre. The underlying social commentary provides lots of food for thought alongside its obligatory monstrous beings. I wasn't sure I'd be too keen on horror games until I gave this series a shot. I found much more emotional depth in the second game than I could have imagined and saw humanity, loyalty, and love in the most horrific of beings. Besides, beyond awesome weapons, the BioShock franchise has some of the coolest powers that I've ever seen for the main character. I could write an entire article about the positive and negative effects of Plasmids and Vigors, but I'll spare you today and just encourage you to play yourself. I’ve played quite a few games during my childhood and even more as I got older. From Mario Bros. to Kingdom Hearts to every game that has to do with Lord of the Rings, I’ve played multiple genres and types of games. (Yes, I’ve even played Call of Duty. No, I’m not good at it.) It’s hard to choose just a few to recommend, but each one of these holds a special place in my gamer girl heart. The Sly Cooper games are some of the first I distinctly remember playing by myself. Previously, my brother would let me play with him, but I never played alone. Until Sly Cooper showed up at our house. Sure, the first game is so ridiculously hard I never beat it, but I adore these games. I love the story that goes along with each installation from tracking down the Thievius Racconus to trying to stop Clockwork 2.0 and all the other adventures (time-travel included). The story is written so well that I almost forget I’m playing a game and not experiencing a movie. Each level is distinct, creative, and vital to the story’s progression. In addition, the characters make the story work. 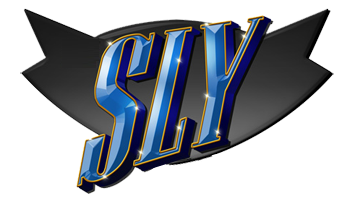 In the first game, we only get to play as Sly, but Murray, Bentley, Carmelita, and all the villains are just as memorable. As we move into the other games, we get to play as other characters, and they became even more distinct. (Honestly, the best level of the second game is the first time you get to play as Murray and just whoop on the henchmen.) I also love that some characters from the first games return in the later games, whether they help or hinder Sly’s quests. Some of the aspects of the Sly Cooper games are awesome as well. Since we’re playing as a thief, it was cool to learn sneaky moves or interesting tricks, especially with Sly’s noteworthy Cooper Cane. In addition, the third game even had levels you could play in 3D! While the 3D wasn’t that spectacular, the concept was just intriguing for my middle-grade self. Overall, Sly Cooper remains a favorite video game franchise because of the story, the characters, and the gameplay. While I have yet to beat any of the actual games (that just proves it’s a worthwhile game because of the challenge), I still look forward to hopefully more installments. And also the upcoming movie! I’ve discussed in-depth my adoration for many of the Lego video games. 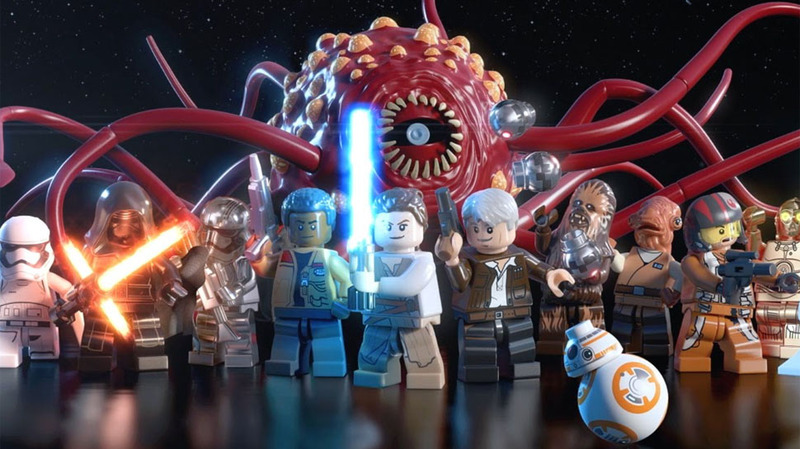 However, I haven’t had a chance to discuss the latest Lego game: Star Wars: The Force Awakens. Like the other Star Wars games, it follows the main story line of Episode VII. You get to play as Finn and break Poe out of the First Order ship. You can fly the Millennium Falcon as Rey. And you get to battle Kylo Ren in the snow at Starkiller Base. But there is so much more to the game than just the main story line. There are characters galore--even some from previous films that you can get to unlock. There are multiple versions of The Force Awakens characters--such as Rey with just her staff or Rey with a lightsaber or even Young Rey. For the gameplay, The Force Awakens is the best Lego game to date, in my opinion. They’ve improved greatly on the lightsabers, which were kind of terrible in the other Lego Star Wars games. They’ve added cool things like microfighters or close-range battles where you have to target Stormtroopers and other enemies to fight them. The graphics are improved and look awesome. Plus, as Legos, the game is just fun to play! 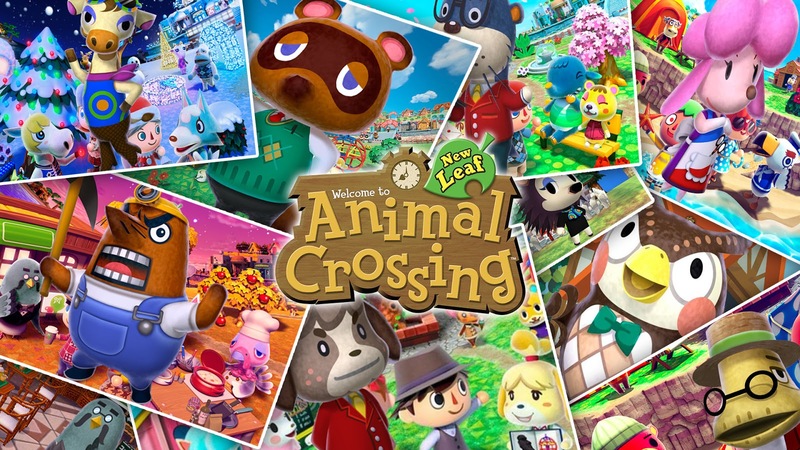 One of my favorite Nintendo games ever--and the only 3DS game I currently own--is Animal Crossing: New Leaf. I used to play Animal Crossing: Wild World for ages when I was in middle school. Countless hours were spent tidying up my town, fishing, catching bugs, and annoying my neighbors. So when New Leaf was released, I needed to play it. And it’s wonderful. New Leaf takes the well-known world and controls of the other Animal Crossing games but improves on them. There is more to do and more to see in New Leaf. No longer are you a regular resident, but you are the mayor of the town. This gives you more options for building things and making decisions. There are new shops and new characters to interact with. And there’s also an island you can travel to that has mini-games and other opportunities to catch rare bugs and fish. You can also go deep-sea diving. There are more holiday-related days that include activities and special opportunities. I love this game because of how much there is to do and because the entire world is made of animals, except you. It’s like a fantasy-version of The Sims. The conversations are hilarious, and everything is just adorable. Plus, there is endless fun since the game doesn’t really end. There’s always more room for fun and adventure! Oh, heck yes. It’s Video Game Day! Thank the gamer gods. Let’s start at the beginning, shall we? When I was five, I was introduced to Sonic the Hedgehog for the Sega Genesis. Back in my day (wow, feeling old saying that), I didn’t have games that connected to the internet. Rather than play online with friends, I would play in the same room as friends. My friends and I would pass the controller whenever one of us died, simple as that. But Sonic was special to us. We cursed Dr. Robotnik’s name (by which I mean, we said things like, “you darn meany”). It was a bonding experience, especially since I was the only girl and in a way I had to prove myself. Thus, I proved myself via video games, especially when the game required skill. 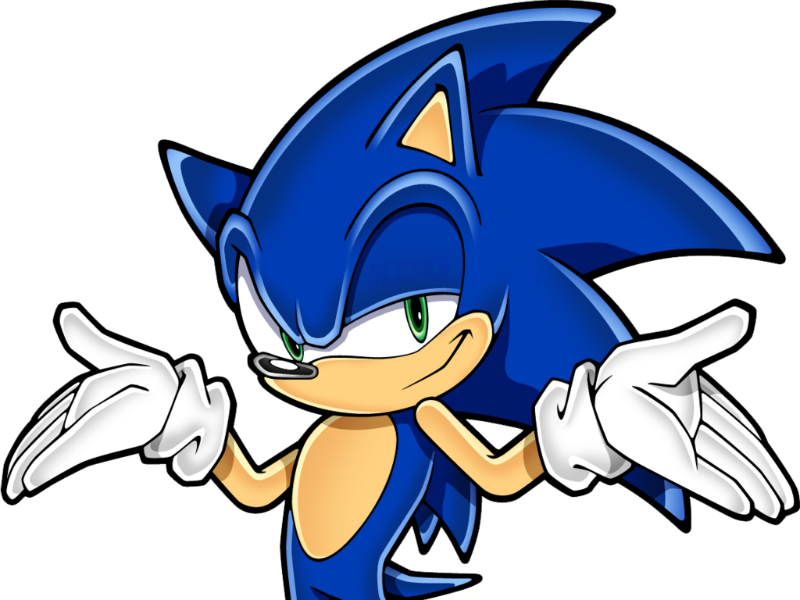 Sonic made you hone your skills. You had to jump at an appropriate time, you had to flip and bounce off enemy robots, you had to dodge lava flows, etc. Sure, maybe the storyline wasn’t the most intricate, but the game was delightfully fun and challenging. Everyone worked as a team in order to beat the final boss. And it was in that camaraderie that I began to love video games. 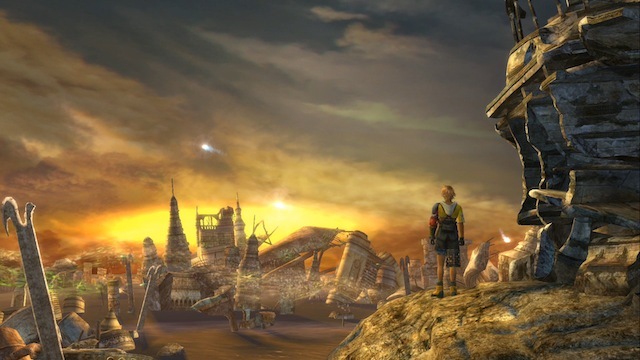 Okay, so I have a confession to make...I played Final Fantasy X-2 before I played Final Fantasy X. I know, blasphemy (also, confusing). You see, my mom got it for me for my birthday and thought I’d like it. And my, was she right. But I wanted X as well! I kept hearing that it was this beautifully constructed masterpiece of melancholy and strategy. My kind of game, even back then. Not too long after, we purchased it. But much to my surprise, the game didn’t start off with Yuna, who I was familiar with, but with Tidus, a peppy hyperactive Blitzball jockey who’s whisked away to Spira, a land a thousand years into the future. Just the juxtaposition of East meets West, the comparison of old versus new, the divide between technology and magic, were all nicely interwoven. I couldn’t help but be swept away right along with Tidus. Then there’s the love story! The greatest in Final Fantasy history (in my opinion). It was this tragic roller coaster of up and down. I mean, Tidus was forbidden from becoming romantically involved with Yuna (a summoner). Her mission was to defeat Sin, her destiny was...well, just play the game to find out. 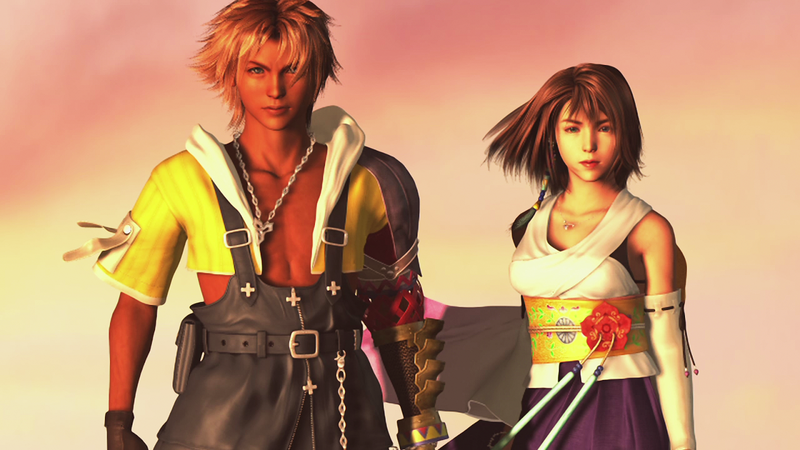 Final Fantasy X had gorgeous graphics and high end voice-acting (at least for its time), and the battle system was fine tuned and brilliantly customizable. You actually had to think through attacks, you couldn’t button mash your way out of a boss battle (phew, especially near the end). The music was heavenly, the villains were dastardly, and the concept of existence and death and love completely rocked my point of view to the point where I sat awake for hours just thinking about it. The Kingdom Hearts series. Boy, where to start? Whelp, It’s my absolute favorite game series of all time. 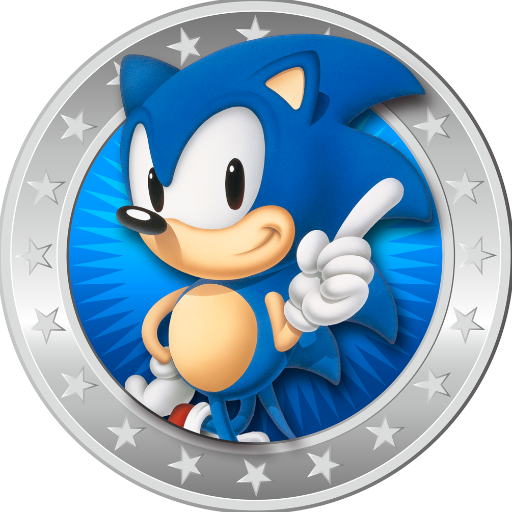 As mentioned in Sonic, it was one of those games where I played with a group of friends (into the wee hours of the night, mind you). 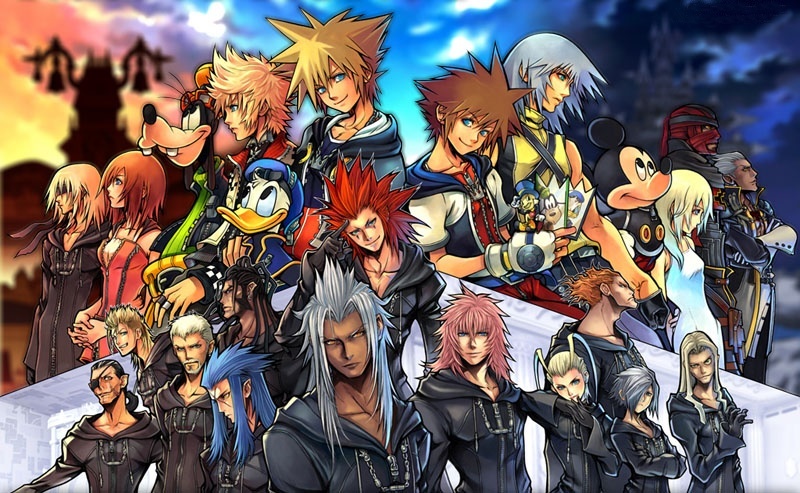 There was just something about the game that made me want to play more, whether it be to find out which Disney World I’d be visiting next or if I’d finally find Kairi and Riku or what outrageous antics Sora, Donald, and Goofy would pull next. Not to mention that the characters were all amazing. I went from angrily cursing Riku’s name to wanting to fold him into my loving embrace. I saw Sora grow from a baseball bat swinging naive little kid to (though still naive) a more mature, much more skilled Keyblade wielder. Though, I’m still waiting to play as Kairi...but I had a plethora of characters to love as the series went on. There’s a lightheartedness that was intoxicating, that was pure and right and simple. It harkened back to a more innocent time, a time where all that mattered was playing with my cul de sac brethren and believing in Santa Claus and...well, you get it. Then there were games like Chain of Memories and Kingdom Hearts II, which introduced more complicated concepts and emotions. Maybe darkness isn’t evil, maybe I’ll have to say goodbye to friends, maybe making mistakes is all part of life. And the first Kingdom Hearts touched on that, but later games really brought that into the light. Beneath the fake smiles and puntastic jokes, there was something more tragic and complicated (if you looked hard enough). And that was perfect, that was me as a player and as a person growing up with the game. As for gameplay, I mean, it’s still my favorite go to game for both button mashing and (if played appropriately) strategic planning. From summons to drive forms to shot locks, every game introduced something new and fun to add to the experience. And that’s the thing, Kingdom Hearts keeps surprising me. Now I just have to wait for Kingdom Hearts III.